My Client Care Team or myself will get back to you within 24 hours, usually much quicker. You can get in touch via my Twitter or Facebook, which I monitor daily. 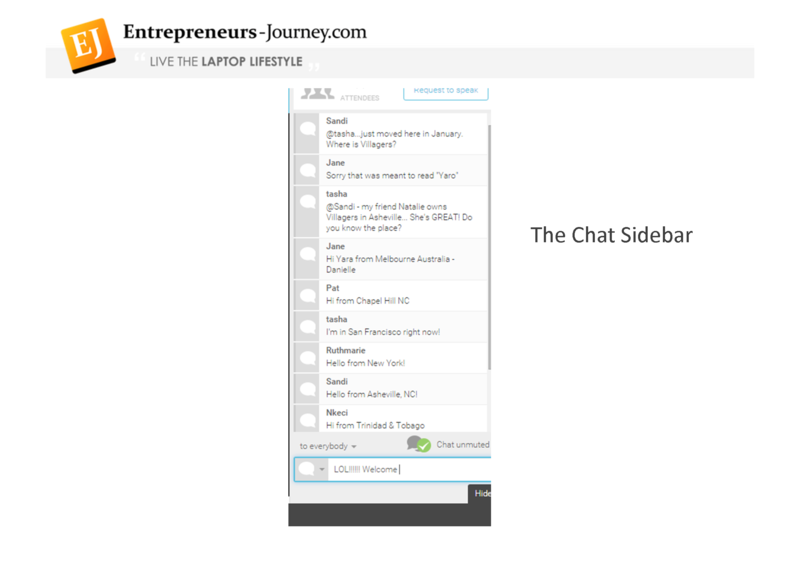 You can reach my Client Care Team via Live Chat – You will see the chat box at the bottom right hand side of the website. If you're a new member, start here! 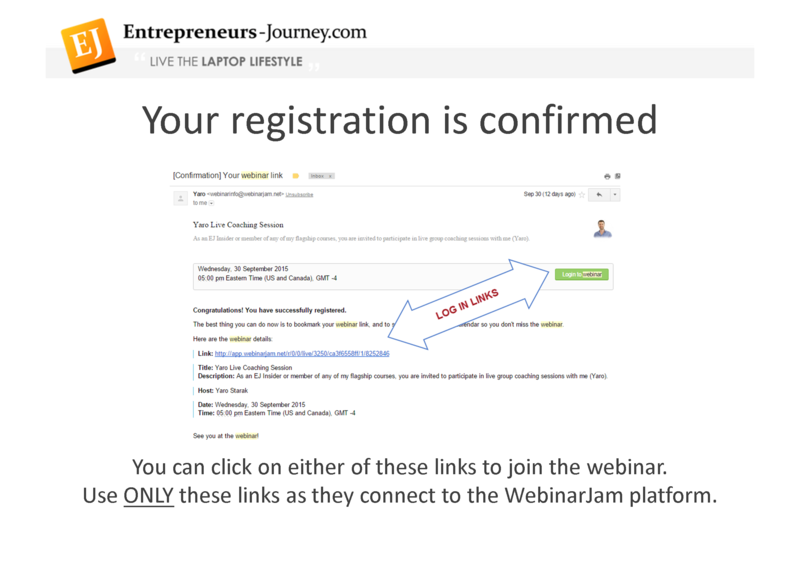 This video will introduce you to the members only area, show you how to access your products, change your user name and password, and more. 2. Find the product you've purchased in the Dashboard, and click on the blue link to go to the product page. 3. 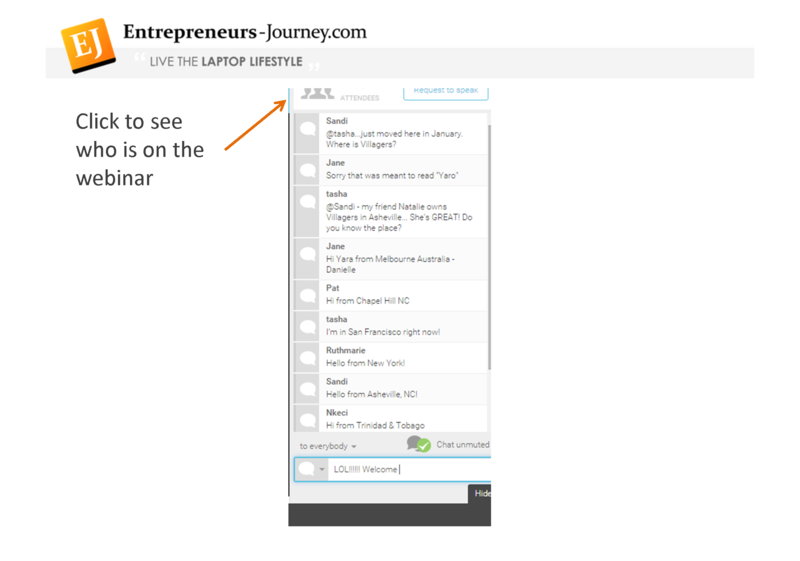 Right click the link and choose “save as” or “save target” or “save link” to download the PDF to your computer. 1. Clear the ‘cache' in your browser settings (usually under ‘Delete History' or similar). Try downloading again. 2. Try using a different browser – if you're using Chrome now, try Firefox or Internet Explorer, or both! 3. If that didn't work, try again using a different device – if you're on your laptop, try on a phone, a tablet, or someone else's computer. If none of those work, please contact Support and we'll help you. I Can't Login To My Dashboard! 1. Clear the ‘cache' in your browser settings (usually under ‘Delete History' or similar). 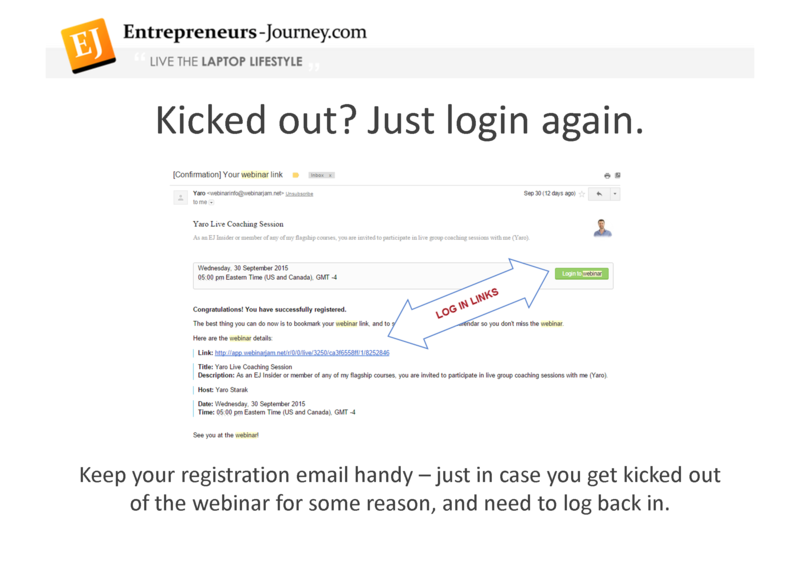 Try logging in again. 2. If that didn't work, try logging in using a different browser – if you're using Chrome now, try Firefox or Internet Explorer, or both! 3. Try logging in using a different device – if you're on your laptop, try logging in on a phone, a tablet, or someone else's computer. If none of those work, please contact Support to re-set your account. If you've changed your credit card, or your current one has expired, watch this quick video to find out how to update your details. 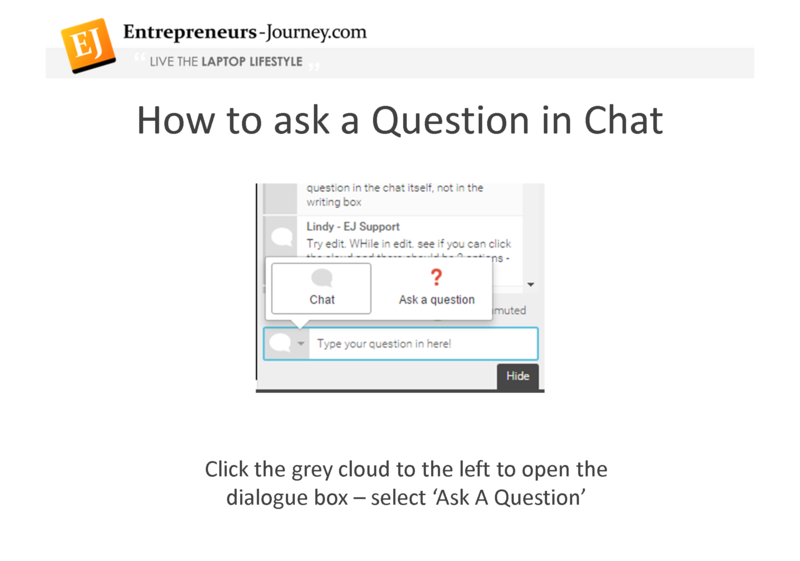 Can I Ask Questions While I'm Doing Blog Mastermind? Yes! 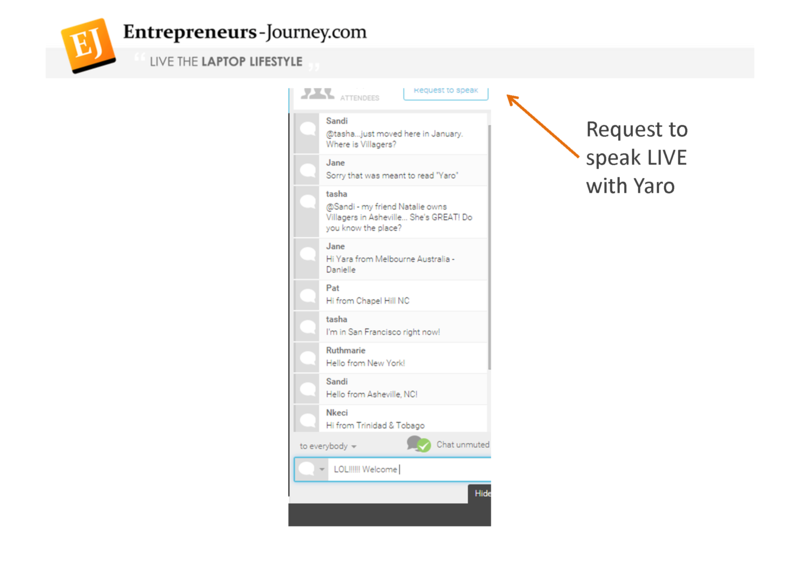 Yaro holds monthly live webinars, and he asks all his students to join in by submitting the questions that they have. 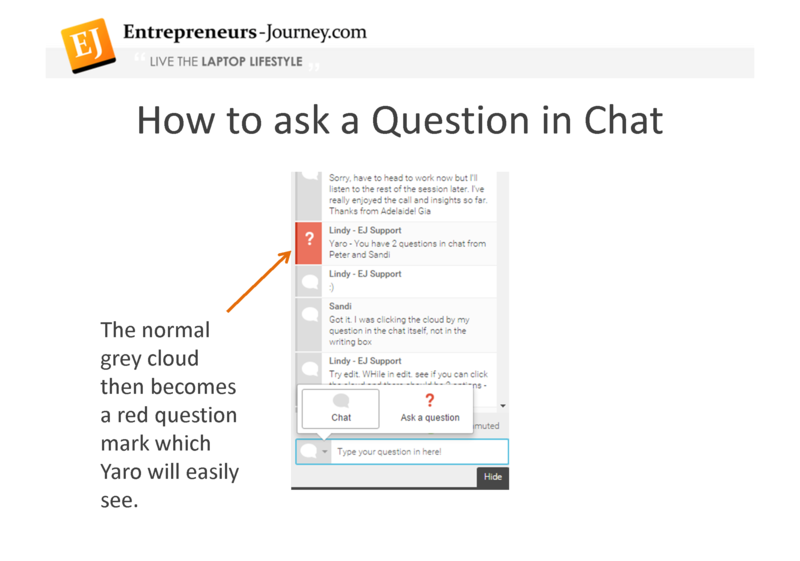 By answering live, all students can benefit from hearing the answers to everyone else's questions – often they are common issues and will be helpful to everyone. 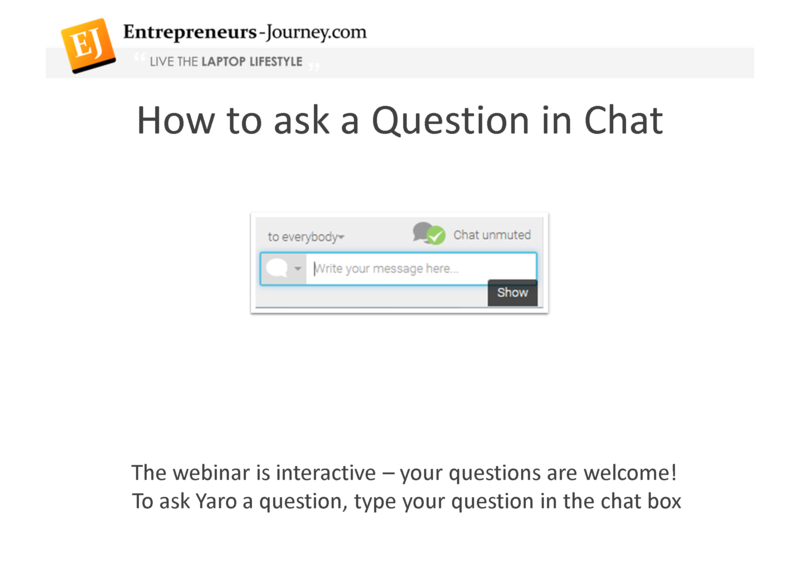 You can ask the questions live on the webinar, and discuss them with Yaro. 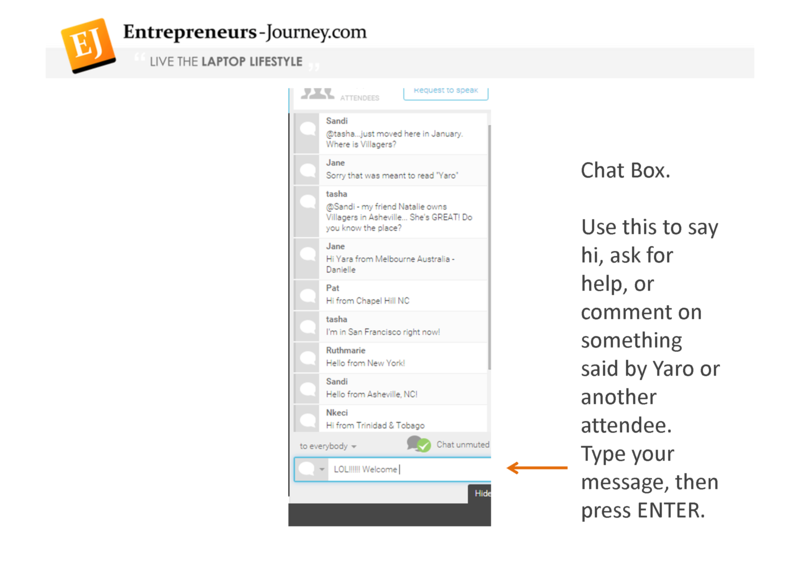 If you can't make it to the webinar, you can simply email your questions in beforehand, and Yaro will answer them during the call. 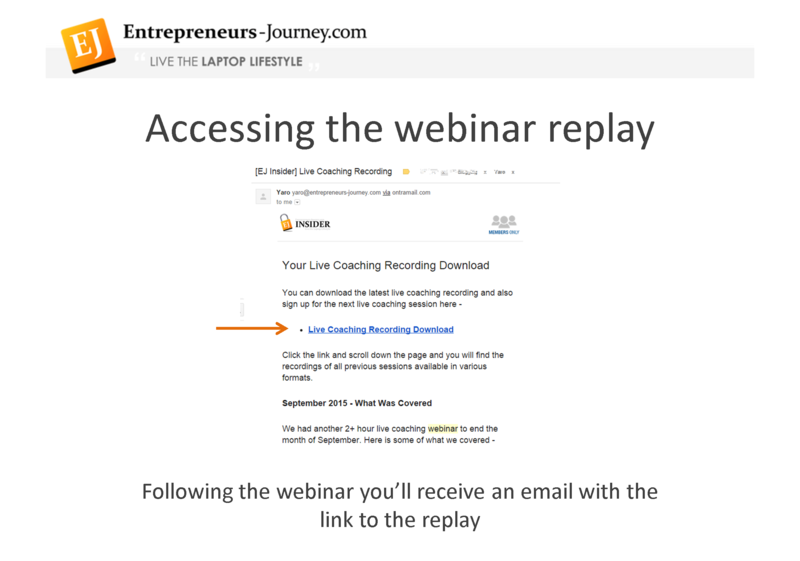 Every webinar is recorded so you can listen to the answers in your own time. 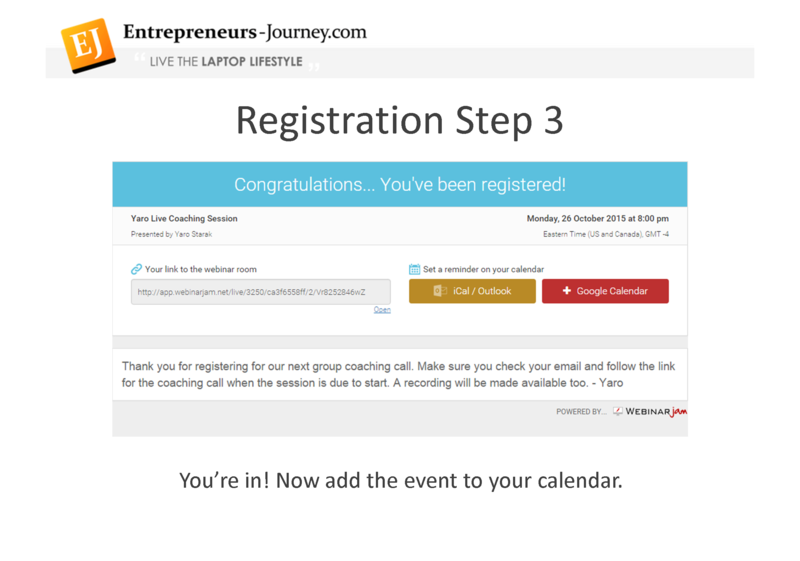 Apart from the monthly webinars, there is no other mentoring or coaching component to the course, although our Support team may be able to assist depending on the nature of the question. I want to be very clear about my refund policy for this program. My goal is to attract people who are motivated, have done their research and decided Blog Mastermind is the right program for your situation, and most importantly, you are committed to applying the system I am teaching you. The first thing you need to know about my guarantee is that you have a 30 day window to try the program before the refund period ends. Note that one of my customer care team members will phone you so you can demonstrate that you have taken those the actions that the program instructs you to take. Do not request a refund if you have not taken action. That would not honour the commitment you made to me and the program when you first joined. 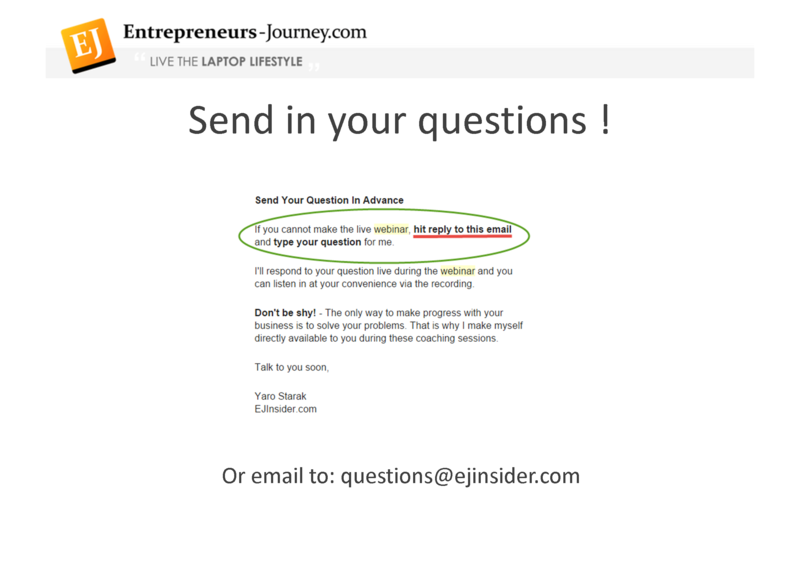 If you are ready to ask for the refund, email yaro@entrepreneurs-journey.com to setup your cancellation phone call. The same 30-Day Money Back Guarantee applies to the “Full Payment Option” or the “Payment Plan” installments option. 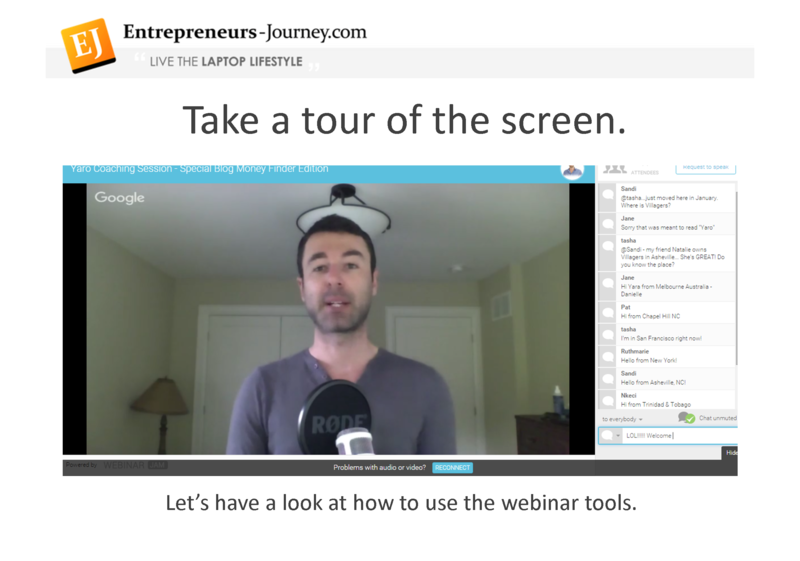 What's The Difference Between Blog Mastermind And Laptop Lifestyle Academy? 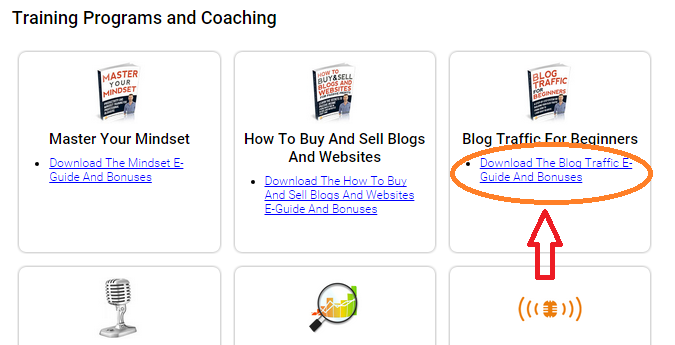 Blog Mastermind 2.0 is Yaro's flagship training program, and by far the most comprehensive step-by-step course out there on how to use your blog and email list to sell digital products like ebooks, membership sites and online courses. If you want to turn your knowledge into an online business using blogging as the foundation to build your audience and attract the right customers for your product, this is the perfect course for you. 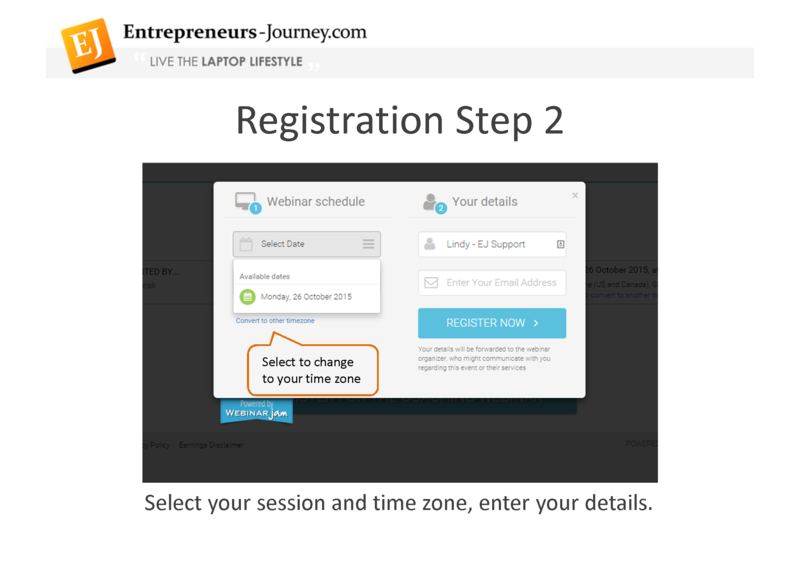 It's a self-study program, which you can work through as quickly or as slowly as you like. 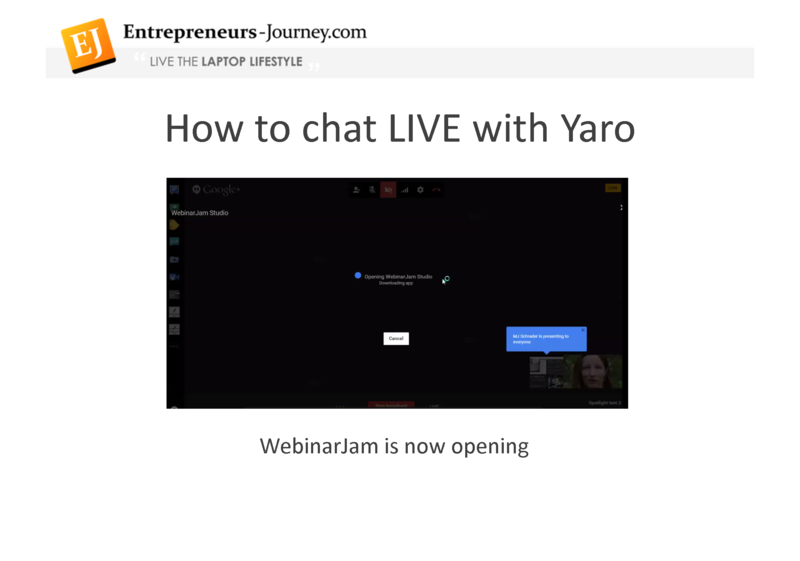 You can also ask Yaro questions directly every month during live coaching webinars, or email the questions in advance if you can't make the webinar. 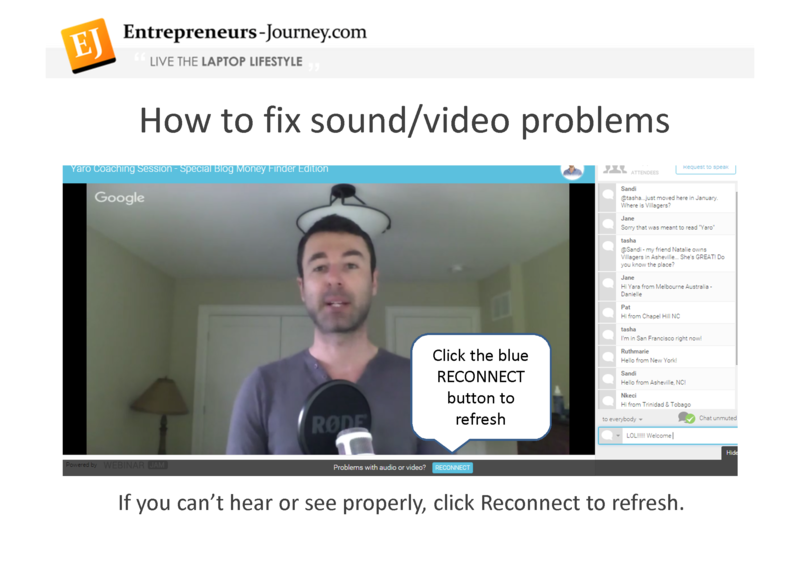 The Laptop Lifestyle Academy is NOT a step-by-step course. It's designed as your support system to help you solve problems, hold you accountable and make sure you don't give up on your business dreams. The Academy includes access to Yaro, other mentors (entrepreneurs who already make money online), and also a ‘family' of people still working to start and grow their business. The Academy also includes over 30 training programs, but they are not structured like a big course. They are short and designed to help you solve specific problems as you grow your business, however you won't likely need all of them. Think of the Academy as an online workshop full of mentors, other students and a lead coach (Yaro), available to you 24 hours a day, 7 days a week. WHICH PROGRAM SHOULD YOU TAKE? In an ideal situation, take both programs (there is a discount if you bundle them together). 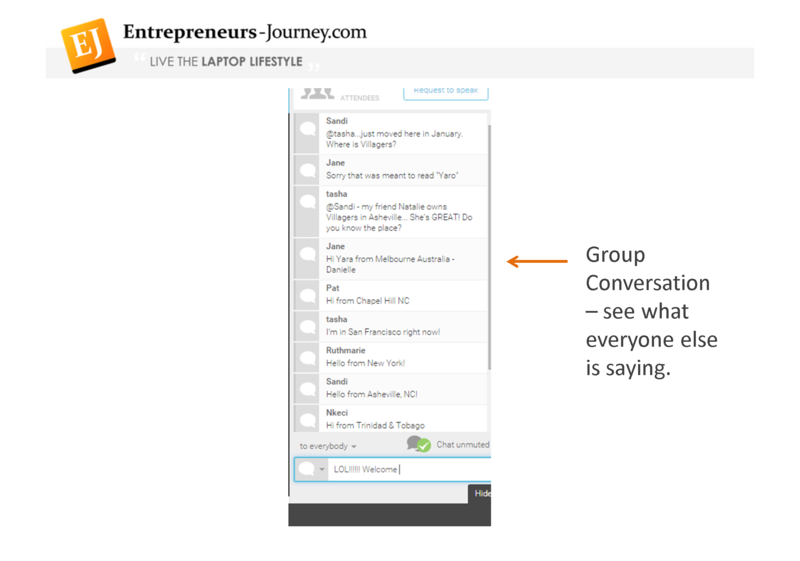 Blog Mastermind will guide you through the entire process of building you blog, email list, and selling your first product. The Academy offers you the support you need every day to deal with the challenges you will face and to make sure you do not give up. If you're budget is small, start with the Academy. 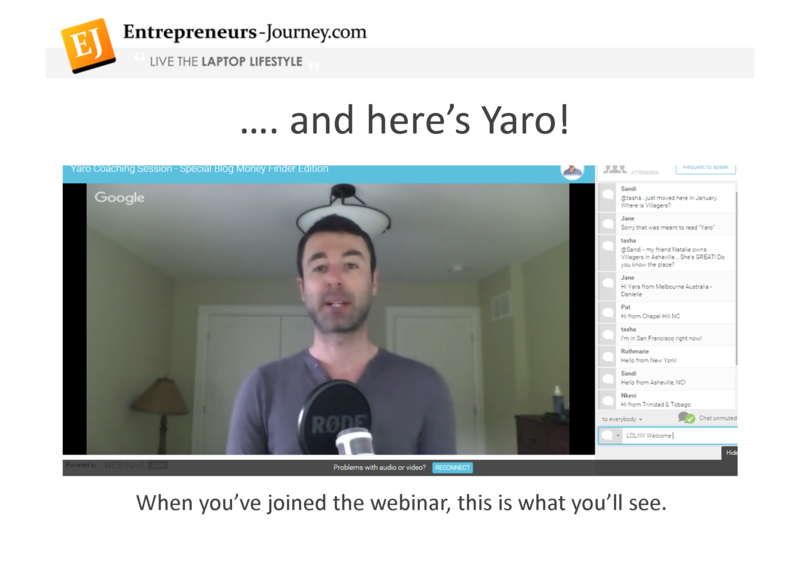 If you only want Yaro's best training course, start with Blog Mastermind 2.0. 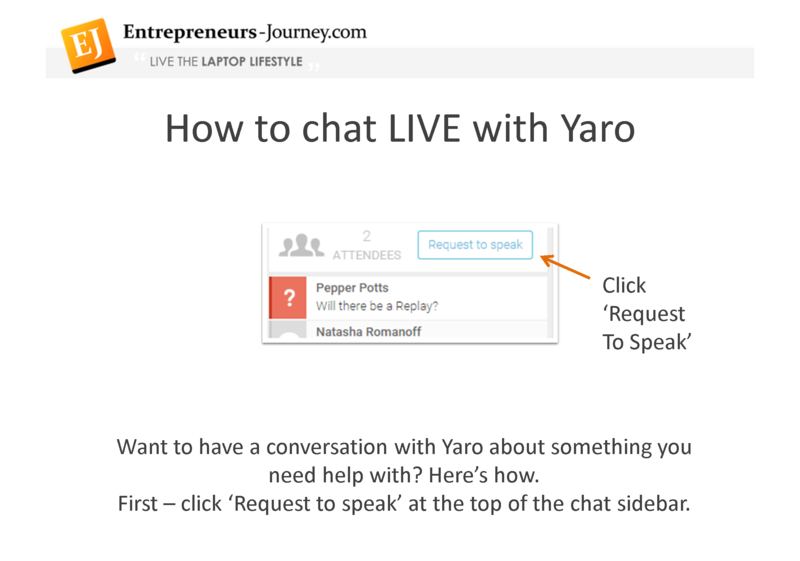 Can I Get Private Coaching From Yaro? 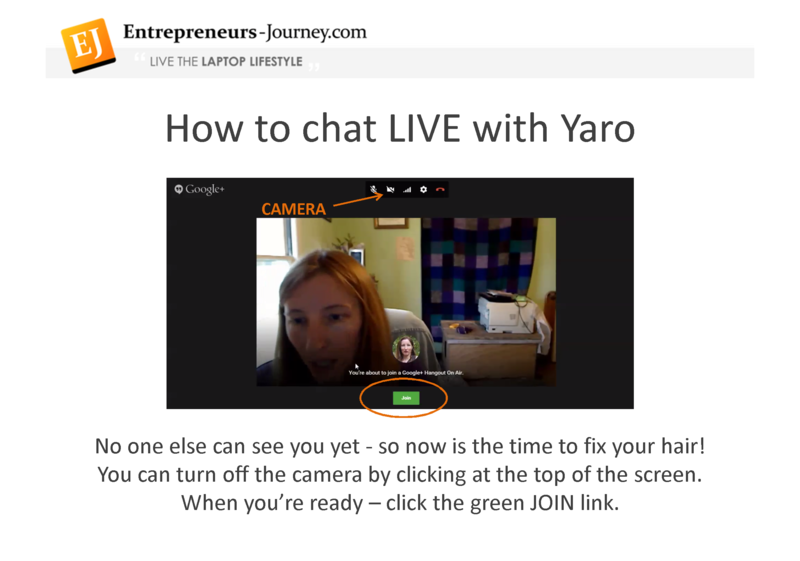 If you are interested in having direct access to Yaro for one-on-one advice, the most cost effective way is to join Yaro's Laptop Lifestyle Academy. 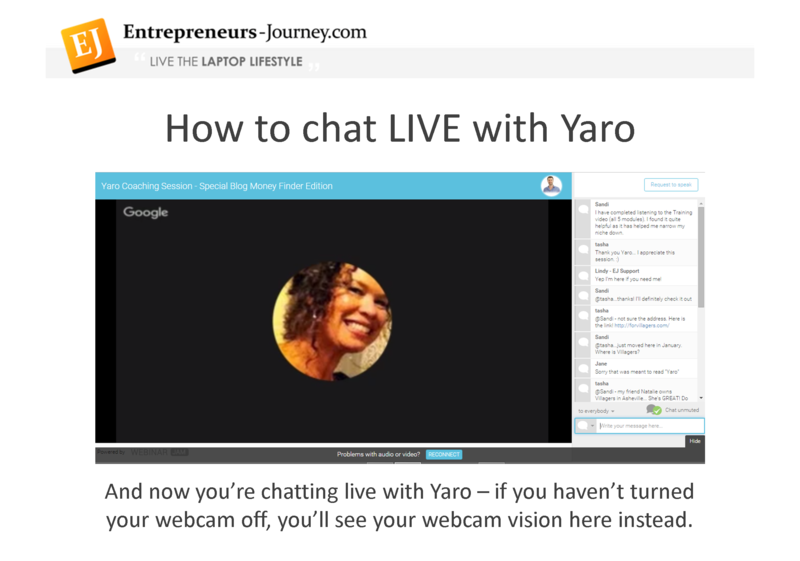 If you would actually prefer one-on-one coaching, Yaro does offer private coaching sessions. 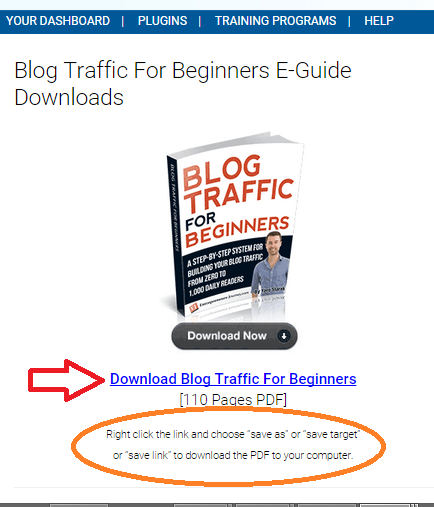 How Do I Get Started With Blogging? 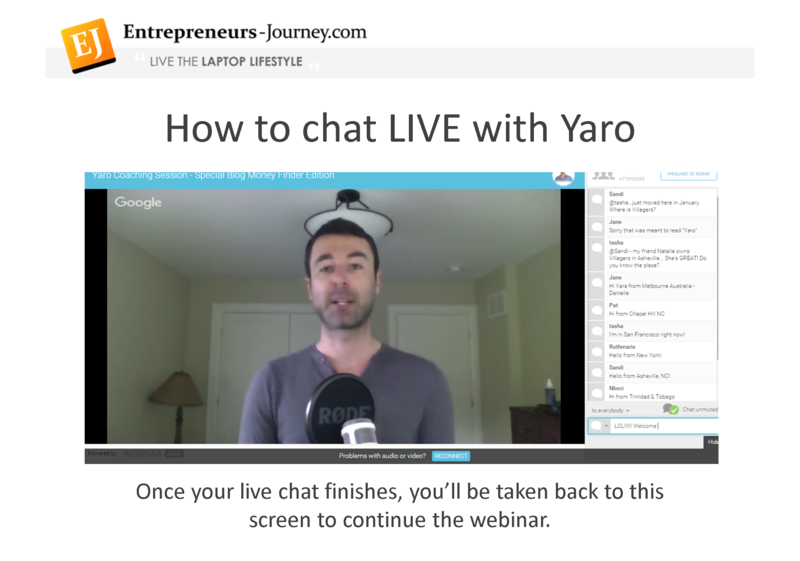 We recommend you start by going through Yaro's free report, the Blog Profits Blueprint. 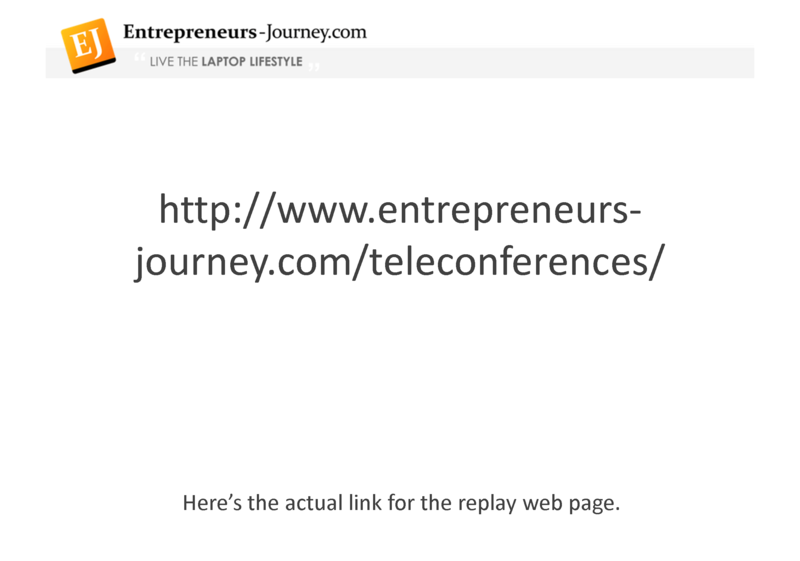 There is a LOT of information there, and enough guidance to get you up and running and beginning to make money with your blog business if you follow the advice. 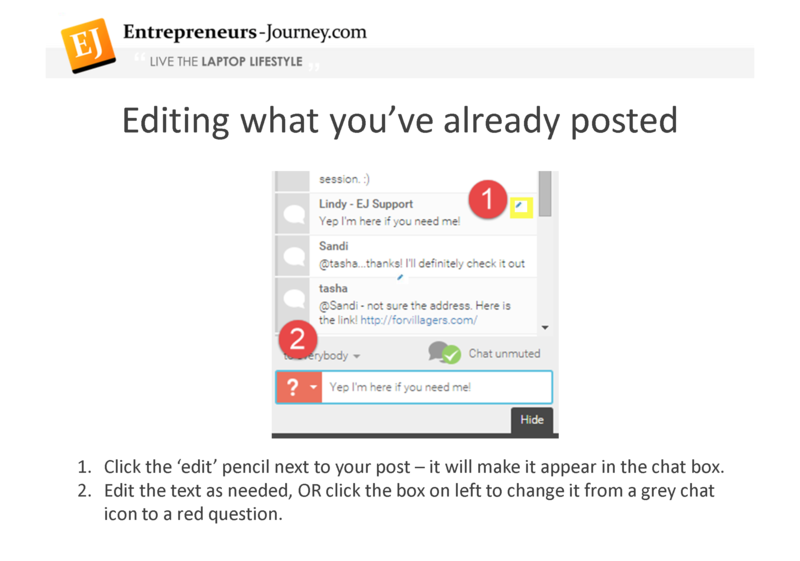 You should also check out the ‘Getting started with your Blog' guide. 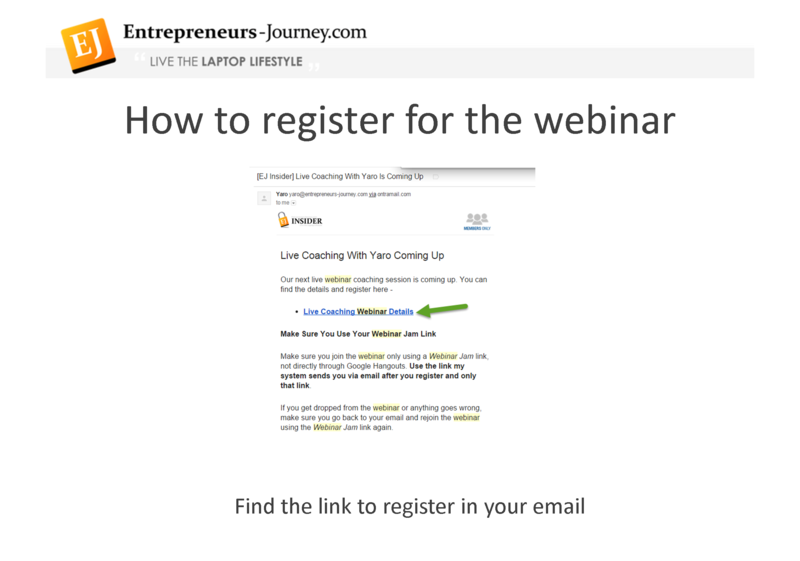 This will help you get set up with the basics, including a domain name, blog hosting and an email newsletter. 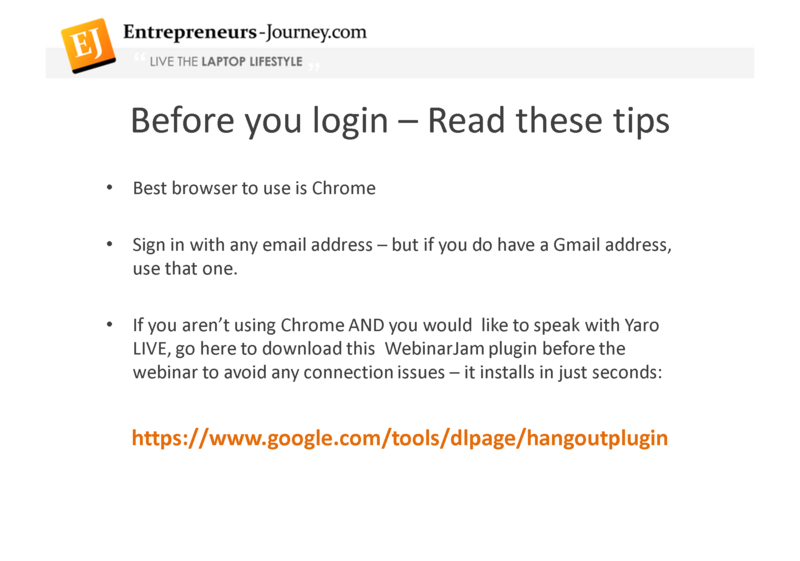 For some help in working out what niche/market/topic you should concentrate on, Yaro's Blog Money Finder will help you pinpoint it exactly, and save a lot of money in trial and error. 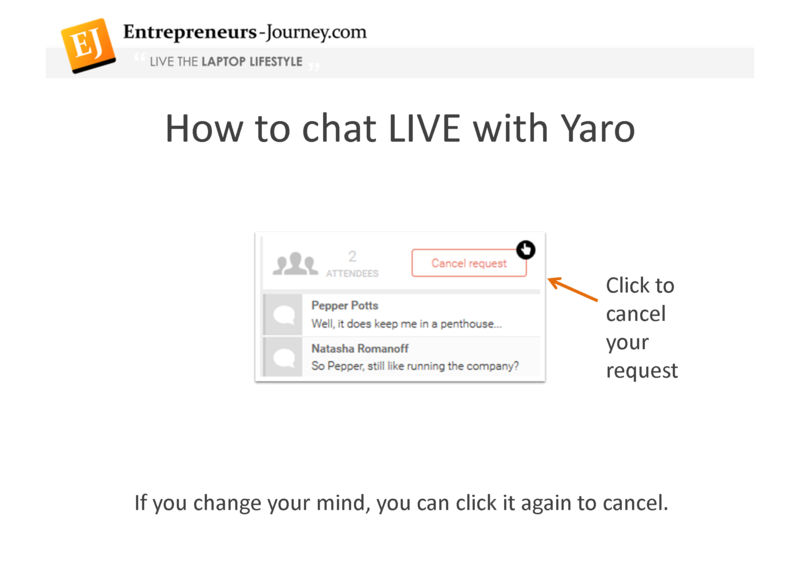 Then, when you are ready to take the next step with Yaro as your coach, you can invest in his coaching programs . There's something for you no matter what stage you're at right now! How Do I Find A Profitable Niche? Can you provide value to a certain group of people in a market, a group who are willing to spend money on what you offer? If you can help people get a result that they desire, you can make money in that market. That's not a question we can answer for you – you need to get out there and talk to people in the market, start helping them, and then use that data to decide whether to build a proper blog business around that subject. 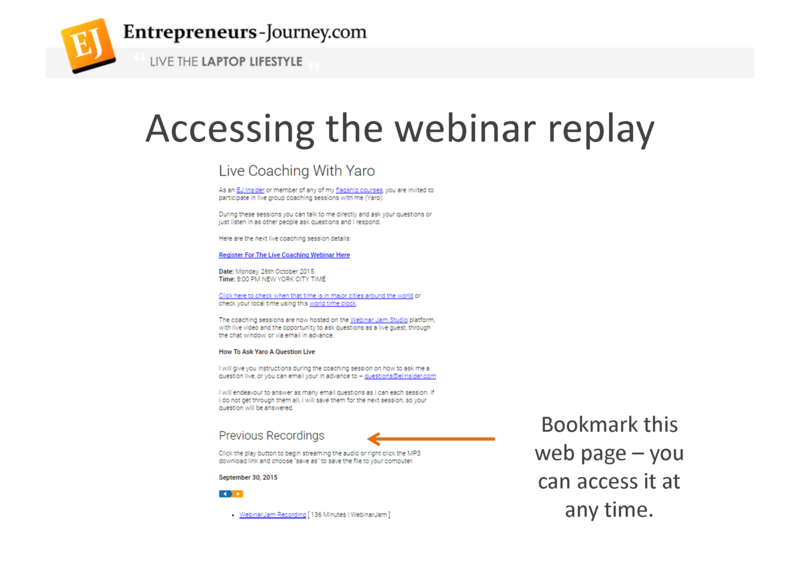 This research process is very important, which is why Yaro has an entire program about it – The Blog Money Finder. 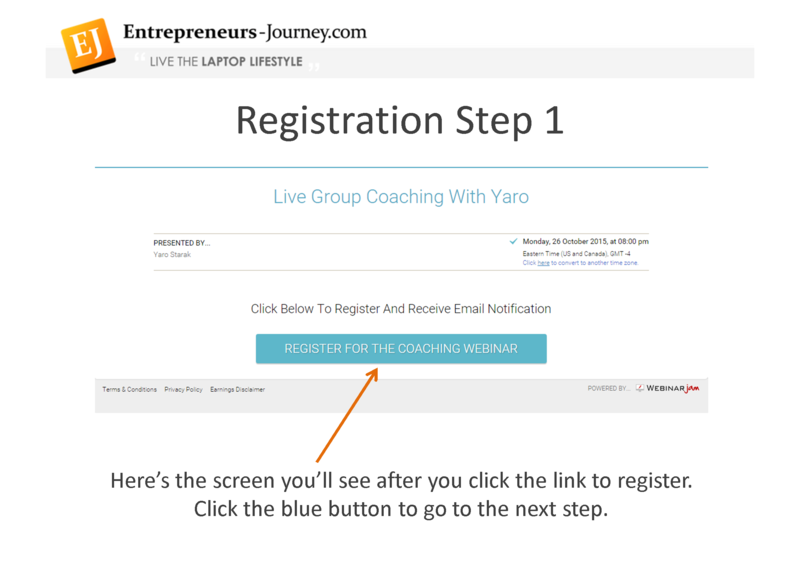 Check out this step by step guide and discover how simple it is to become part of one of Yaro's training webinars. You can also download a PDF version of it here. 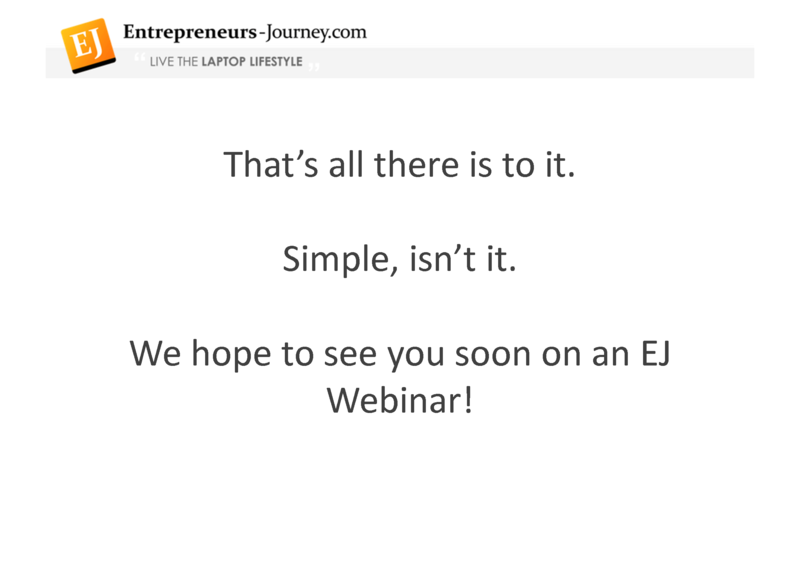 If you're new to EJ Insider, or just haven't joined us on a webinar because it seemed too hard, then watch this video to discover how easy our webinars are to join. 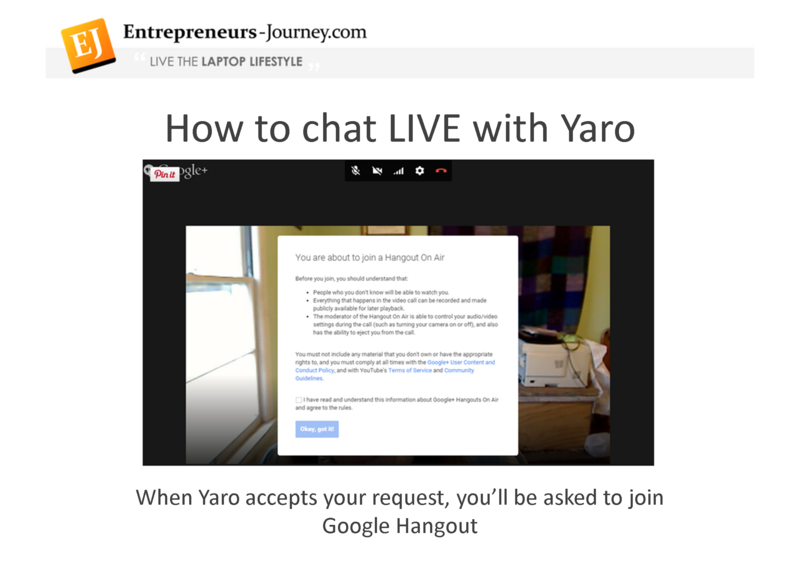 Don't miss out on this opportunity for direct access to Yaro, and to have your questions personally answered. 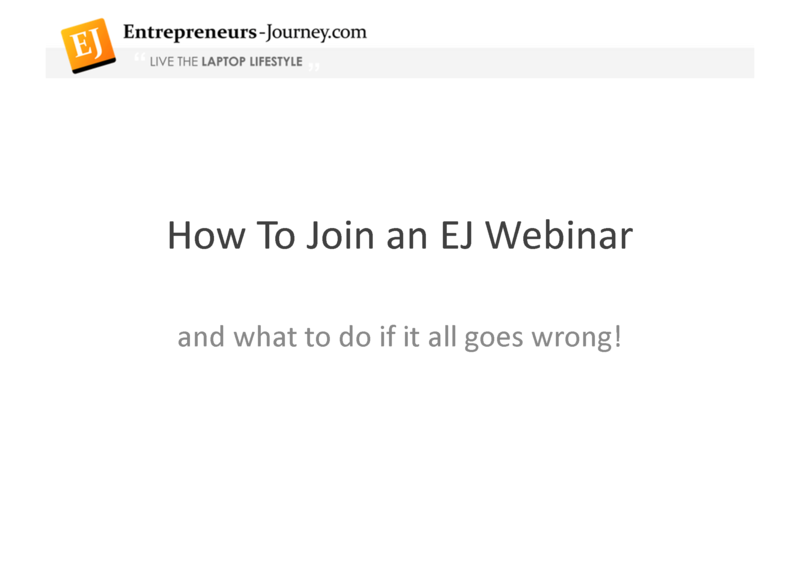 To leave a review in iTunes for the EJ Podcast please follow the steps in this one minute video.